Following ECCC, spring convention season kicked into gear this last weekend with Comic Con International’s incredible WonderCon event, hosted over Easter weekend in sunny Anaheim, California. 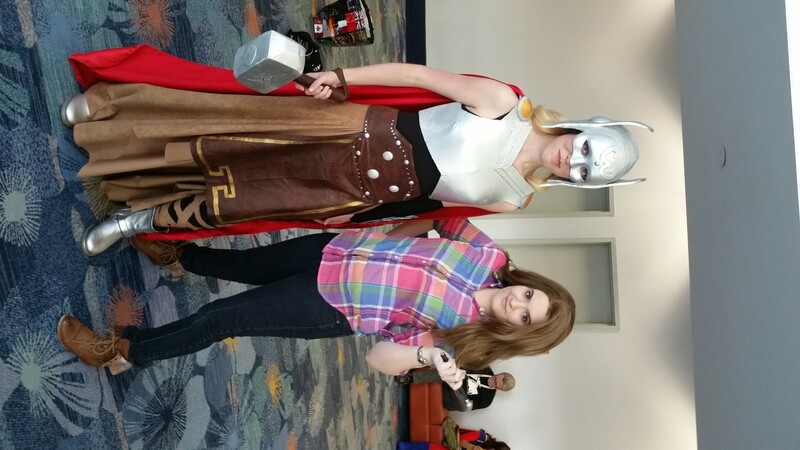 Located in the spacious Anaheim Convention Center, surrounded by hotels, entertainment, and gorgeous outside grounds, Wondercon drew in crowds of thousands for a weekend packed with cosplay, comic book content, and plenty of excitement. For many of those who cannot attend San Diego Comic Con, the holy grail of nerd conventions, Wondercon works hard to provide a similar experience on a smaller, more manageable scale. They are both hosted by the same company, and though it is not as wild of an experience, Wondercon provides an incredible range of activities for all types of fans to get their fanboy or fangirl fill. This event, personally, is one of my favorites that I’ve attended- it’s got the atmosphere and activities of San Diego, with all the calm and intimacy of a small party with friends. Which isn’t to say the convention is small- it’s large, bustling, but manageable. All together an extremely well-rounded experience. One of the most prominent features of the center is the giant fountain that shoots up plumes of glistening water atop a series of large steps. The open space and centeredness of the fountain made it a go-to destination for many cosplay gatherings, including fan favorite Game of Thrones, Steven Universe, and DC Comics. There were also plenty of open spaces between the center and the hotels, with green grasses and lots of trees that were also popular photo destinations for cosplayers. All this fun was only just outside the convention center! One thing of note about the outdoor activities, though, is that the Wondercon staff seemed to change up regulations this year from the last. A great deal of these areas were blocked off to those who didn’t have badges, whereas in other years they were all open and the badge was only required to get inside the center. The outdoor areas are just as popular as the inside halls, though, and choke points were established at which con-goers were funneled past security staff checking badges before entering the patio space outside the convention center. It was certainly a different way of conducting crowd control, and perhaps caught many people off guard. It did, however, ensure that there was an extremely low chance of anyone sneaking in or “ghosting” as many like to do. Once inside the convention center (which was thankfully air conditioned), more cosplayers and fans were wandering the lobbies, resting on the floor, going through their bags of convention swagger, or waiting in line for the coffee kiosk to refuel themselves after a long day. The exhibit hall was full of booths selling cool wares, advertising comic books or products, appealing to everyone’s geeky delights. Image, IDW, and Boom Studios publishers had visible presence on the floor, whereas Marvel and DC were mostly just represented by talent present at the convention. Artists like Kevin Wada, Phil Noto, and Kris Anka sold prints, took commissions, and signed comics at their tables in the artist alley. The star of the weekend, though, was Babs Tarr of recent Batgirl fame. Her design graced the cover of this year’s programming guides, and there was never a point in the day where the line in front of her table was any less than 20 people long. Marvel, DC, and Image each held panels about their recent events or titles. DC brought in writers and artists to talk about their newest Convergence launch, and Marvel writers and artists talked a little about Secret Wars- no new information was given here, though. DC also premiered their new animated film Batman vs. Robin at the convention. Throughout the weekend, lots of themed programming was offered, from panels about Image’s creator-owned works, to the science of the Star Wars universe and beyond. Chase Masterson helped to promote an anti-bullying comic coalition panel on Sunday. If there was a recent geeky topic to be discussed, there was probably a panel for it. The Most Dangerous Women at Wondercon panel had a large group of female speakers, ranging from stuntwomen to actresses, fashion designers for Goldbubble Clothing and comic writers, all discussing the strengths and weaknesses of the portrayal of female villains in comics. Another panel, hosted by an Academic Conference for Comics, highlighted the evolution of feminism and the growth of female heroines with the changing movement. From Wonder Woman, to Batwoman, to Thor, three female scholars tracked the changes in heroics and female identity as the world has grown from the days of early comic strips to the epic omnibuses of today. On Saturday, I attended a cosplay gathering of Marvel heroes dressed as the new Thor, a favorite of ours here at TGI. In attendance were dozens upon dozens of Marvel fans, cosplaying as 616, Ultimates, and MCU favorites from new Avenger Miles Morales to Pixie from the X-Men to Dottie and Angie and Peggy herself from television’s Agent Carter. Fans posed for photos of all Asgardians, heroes and villains, Avengers versus X-Men, and everyone kills Deadpool! Fun fact, of the cosplayers dressed as Thor in attendance at the meet (though there were more over the entire weekend who didn’t make it out to the meet), all three were female! How’s that for sisters in arms? Seeing everyone get together and share their love of Marvel comics was awesome, and the talent and creativity present there were overwhelming. Cosplay is a huge part of these events, and it’s here to stay. Wondercon 2016 is currently headed for the Los Angeles Convention Center due to intended renovations on the ACC, but should return to its usual SoCal location the following year. No confirmation on that yet, but Los Angeles seems to be a temporary fix. Check out our Wondercon photo gallery for a sampling of some of the awesome cosplay seen over the weekend! 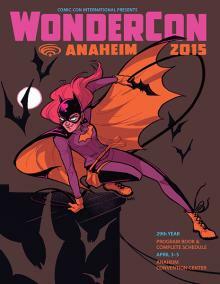 How do you think Wondercon stacks up with other famous Southern California conventions? Disclaimer: I received a complimentary press badge in order to attend this convention. Banner image courtesy of Comic Con International.